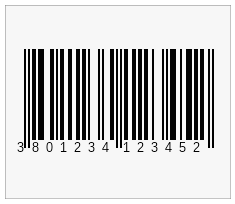 - Multiple Barcode areas - unlimited number of barcode areas are supported. Each barcode area can display either a linear or matrix barcode. - Multiple Titles - unlimited number of titles are supported. Titles can be manually positioned or docked to barcode and barcode plot area. - Linear Barcodes - the report item can display 28 linear barcode symbologies, including: Codabar, Code 11, Code 39, Code 39 Extended, Code 93, Code 128, Code 128A, Code 128B, Code 128C, EAN8, EAN 13, FIM, Interleaved 2 of 5, ISBN, ITF14, JAN13, MSI 2Mod10, MSI Mod10, MSI Mod11, MSI Mod11 Mod10, Pharmacode, PostNet, Standard 2 of 5, Telepen, UPCA, UPCE, UPC Supplemental 2Digit and UPC Supplemental 5Digit. - Matrix Barcode - support for QR Code and PDF417. - Scaling Modes - support for fit and custom scale scaling modes. - Pixel Snapping - integrated pixel snapping that displays the barcode in such a zoom level that avoids antialiasing and displays barcode symbols at exact pixels. - Code Embedding - allows you to modify every aspect of the barcode appearance using C# or VB.NET code. Gain control of your DTS Packages! Search DTS packages on multiple servers at once with text, wildcard, and regular expression searches. Don`t let a database change break your DTS packages again! Free download with no registration required!